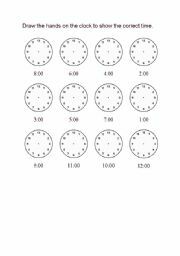 Pupils draw the hands on the clocks to show the correct time. 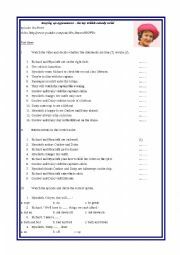 Concise presentation of formating adverbs and their order in a sentence. Adverbs such as (free/freely, high/highly, direct/directly, late/lately, deep/deeply, free/freely, last/lastly, hard/hardly etc.) 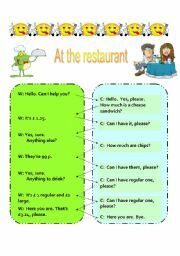 are compared + examples. An exercise is also included. Bye. animated ppt for those who need to practise the grammar form of like/ likes... It´s animated and my kids find it enyoable, hope you find it useful too. Part 2/3. 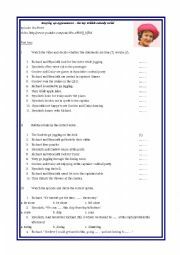 Hi there, this is a quiz compiling vocabulary, grammar and reading with understanding. Students need to choose the right word according to what they read. I find it useful, because it requires more than just labeling pictures. Hope you´ll find it useful it. Enjoy!!! I do this quiz in a form of competition, the answer key is on the last slide. 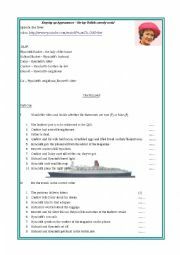 Hope, you will find it useful, as it isn´t just a one-comptence exercise, but you can practise comparatives and superlatives, general knowledge about animal world, or practise animal vocabulary at a bit higher lever.